Hong Kong has always attracted investors because of its robust business economy. Unlike in other places, its political system is very stable while the banking sector remains a crucial pillar for growth. Most of the top multinationals in Asia started in Hong Kong. Despite the booming business and huge prospects for success, many investors still find it a challenge to grow after starting up ventures in Hong Kong. 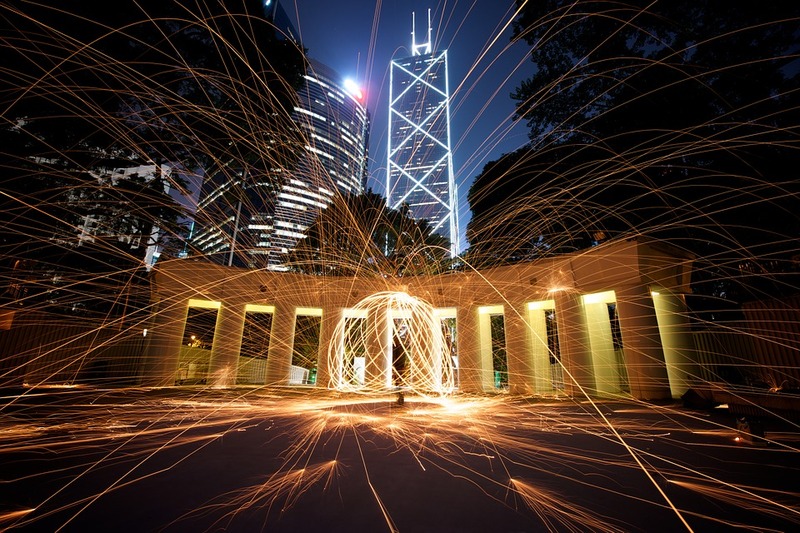 In this post, we outline expert tips for business success in Hong Kong. Customer behavior: The customer behavior on the selected market niche is very important when drawing a business strategy. For example, if you are offering fitness products, you should understand what people think about weight management. Competitor evaluation: understanding competitors is very crucial for you to succeed. By understanding what they do, it is easy to draft a better strategy. Because new competitors keep emerging, this assessment should be made progressively. Market integration and partnership: While most competitors will work very hard to win a bigger market share, some might prefer cooperating to cut on marketing costs. When you identify such partners, it becomes easier to win the market and convince clients to convert. Many top businesses in Hong Kong rose to the current position because they have the right personnel. Their skills and dedication will determine whether the clients you serve will come back, refer others, and convert to sales. To get the best staff, you have to vet them carefully to ensure that only those with the right skills come to the business. A tech business in Hong Kong can only lever the operations and improve the quality of its products when all the workers have the right skills and commitment. Often, investors go an extra mile to motivate their staff to get more from them. They take them for additional training, remunerate them well, and motivate their operations. With such dedication, you are sure that they will carry the brand name wherever they go. After opening a restaurant downtown Hong Kong in mid-2015, Joan Raymond admits that she knew very little about Hong Kong and its culture. However, she knew one secret; motivating the staff to carry the business vision. After recruiting the staff, she not only promised them faster career growth but took them for training on hospitality. The staff got so attached that they carried the brand even to their residential areas. Regularly, people would come looking for Joan’s restaurant because her staff talked very well about it. Blogging: Blogging is a great way to reach the target audience and talk to them based on the issues that affect them. As a talking point, you will be able to reach the target clients and be part of them to drive traffic and convert. Social media marketing: More people live on social media today than at any other time in history. Social media provides a business with an opportunity to showcase its brand, form groups, and target the right clients. To use social media correctly, it is important to find out which platforms attract most of the fans and use them. Most of the companies in Hong Kong prefer Facebook, Twitter, LinkedIn, and SnapChat. It is important to carry a comprehensive review on the best platform for your situation. Content marketing: Information is power. More people want to get the info they are looking for to make the right decisions. Search engines have leveraged this by ensuring they filter all information to help businesses carry the most useful details for visitors. Your content marketing strategy must therefore start with a comprehensive analysis of what the target clients want and aligning personal product to delivering it in total. Involve clients in product development: This model of operation involves clients from the early stages of development to ensure they can associate with the process. For example, if you are developing a new stain remover, including the target audience will help you understand what they want and include it. Therefore, when the final product hits the market, the target audience will buy and market it because it is ‘theirs’. Build and sustain communities: Developing communities mainly takes place through social media and newsletters. You start by studying the target clients and asking them to join in the community. You might consider including special incentives such as offers and discounts to members of the community. In Hong Kong, the strategy will work very well because clients will always be checking on your website, following new content and converting. Remember to always study the target clients’ behaviors and deliver what they want as opposed to what you think will work. One of the main reasons that some businesses in Hong Kong and other cities remain small or end up closing is because the investors failed to think big. By thinking big, it means that you can be part of a bigger thing. Though only a startup, it is possible to grow and outdo the big multinational located in the neighboring street. While it is true that seeing and doing things in a big way will come with new challenges, they will keep leveraging your move to the next level. However, you must live to the dream by working with a role model, learning new ways of raising funds, motivating staff, and forging new partnerships both in and outside Hong Kong. You can also lever bigger and faster growth through seminars, conventions, and additional training. These are new learning platforms that help to provide a better way of doing things so that people can dream big. Make sure to build additional relationships and apply all the skills you will learn to take the business to the next level. While the strategy you are applying today might have achieved a significant level of success, the chances are that it will get redundant in a couple of years. In Hong Kong, technology is advancing so fast, and a strategy might become obsolete within a very short time. Therefore, you have to progressively review the operational strategy and establish whether the results you anticipated are being met (a company secretary can help…a lot!). This might mean a complete evaluation of a specific strategy and work on a new strategy altogether. Note that these strategies often require the right expertise to help point with precision where the issues are. For many people, the easiest way to sell is offering a discount. However, this means you are taking away cash that could have come to the pocket. Rather, it is advisable to consider adding value and selling more. For example, if you are selling a weight management product, it is better to add value by offering an additional e-book on cutting weight. The target clients will find the product more valuable because they can achieve more with it. This will persuade them to follow you, become part of the brand community and convert regularly. Hong Government has particularly been seeking to attract startups that can help to add value to tech products. Remember that this does not have to be a huge project; rather, you can add value to the product on sale by getting creative. Remember to carry comprehensive market study when working on the strategies to add value to tech item and services. Though the main reason for coming to Hong Kong is concentrating on business, the doors for additional investments are not closed. Here, you have to get extra creative to drive more revenue without affecting the commitment given to the main business. Some top options to consider at this point include working in a great blog and using it as an advertisement platform for good paying companies. For example, a weight management company with a lot of traffic could allow a soft drink company to advertise on its space. Other sources of revenue include trading in the capital markets, affiliate marketing, and real estate. These additional activities will generate useful revenue streams that can go a long way to address some costs and raise the overall profitability. 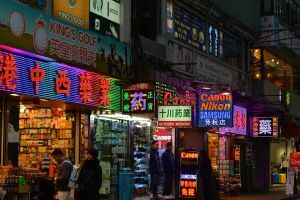 Note that your operations in Hong Kong should not get difficult because you neither understand the environment or other businesses are intimidating. Simply contact us to learn how you can grow the business. We have many years of experience helping other businesses to address teething problems and other complex issues. Reach us today for comprehensive assistance’.